for $4,495,000 with 6 bedrooms and 6 full baths, 1 half bath. This 5,784 square foot home was built in 2004 on a lot size of 0.3127 Acre(s). 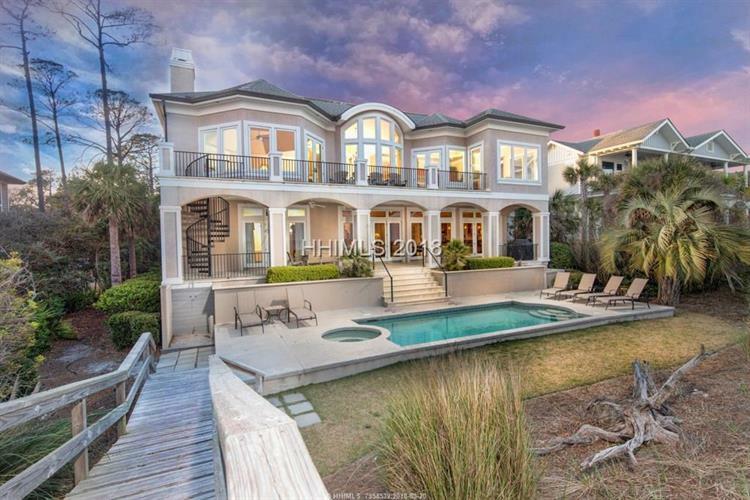 One of Palmetto Dunes most magnificent homes!! 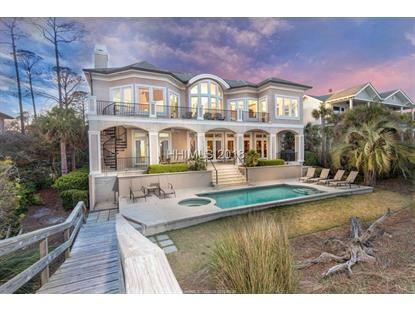 This 5 BR, 6 and 1/2 BA property has breathtaking ocean views, a large private den with sofa sleeper and full bath, an elevator, beautiful wood and tile floors and soaring ceilings. The 1st floor of this home features the perfect gathering area with a family room and fully equipped wet bar. Two guest suites are on this level plus a separate laundry. Halfway up the main staircase are two more bedrooms. The remainder of the staircase takes you to the full second level that was designed to fully capture the ocean views and features a living room, gourmet kitchen with bar stool counter and adjacent breakfast area, dining area and balcony overlooking the ocean. The Master suite, with fireplace, is on the 2nd level with a private ocean view balcony. An oceanfront pool features a heated Spa and is ideal for sunning, entertaining and enjoying the ocean breezes. A great opportunity for the discerning oceanfront buyer.